This geological feature in the Western Galilee is actually a large, natural stone arch that seems to divide heaven and earth. 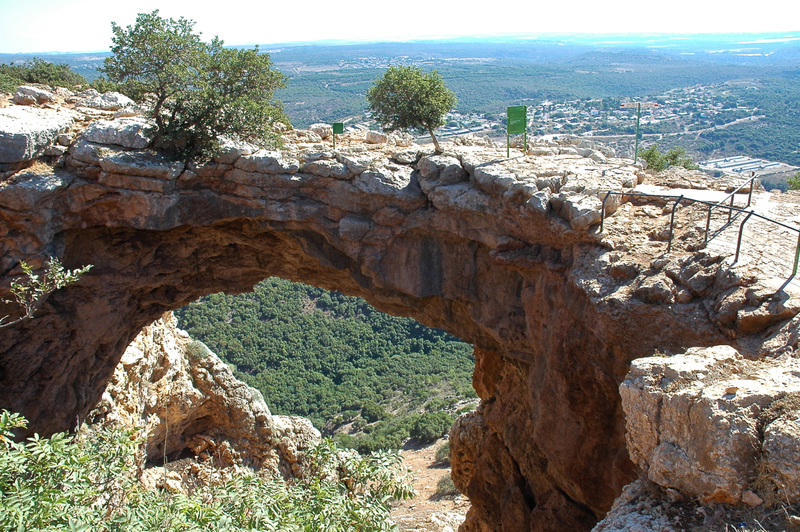 The arch is all that remains of the ceiling of a cave that collapsed, hence its name, keshet is the Hebrew for arch. The technical details – the photo was taken with a Nikon D70 digital SLR and 18-70mm lens in April (ISO 200, 18mm, F9 at 1/125 sec). This entry was posted in Nature, Photography and tagged arch, geology, lookout, nature on January 20, 2013 by Shmuel Browns.